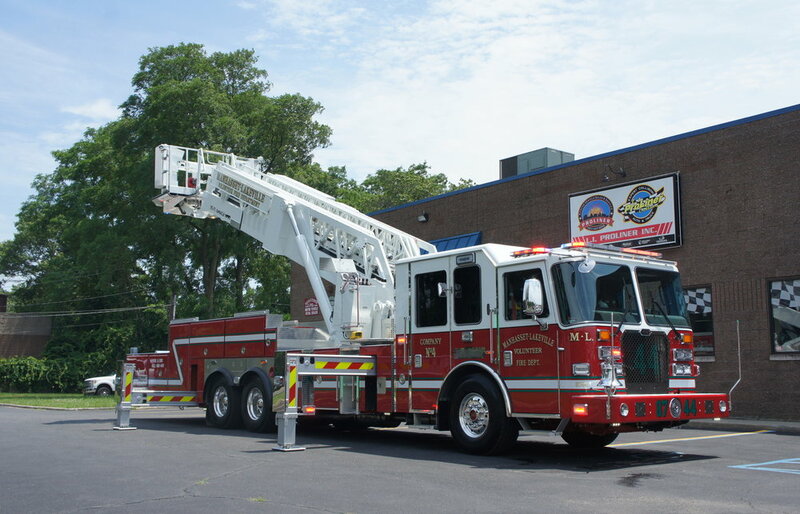 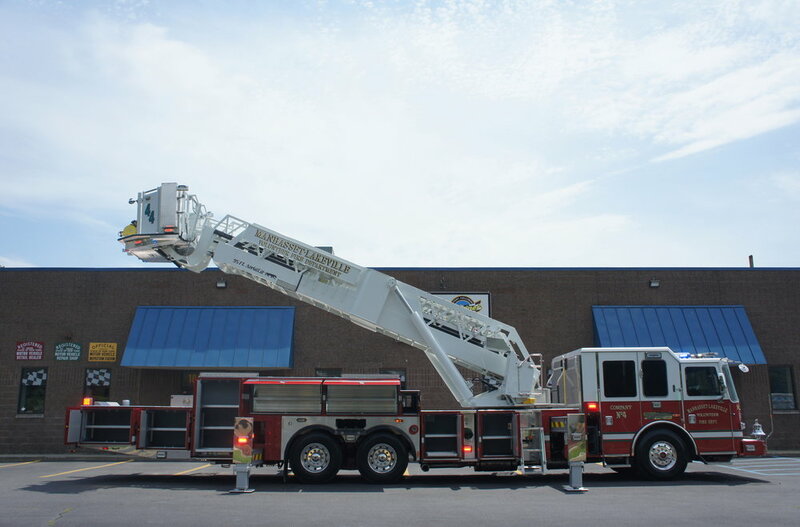 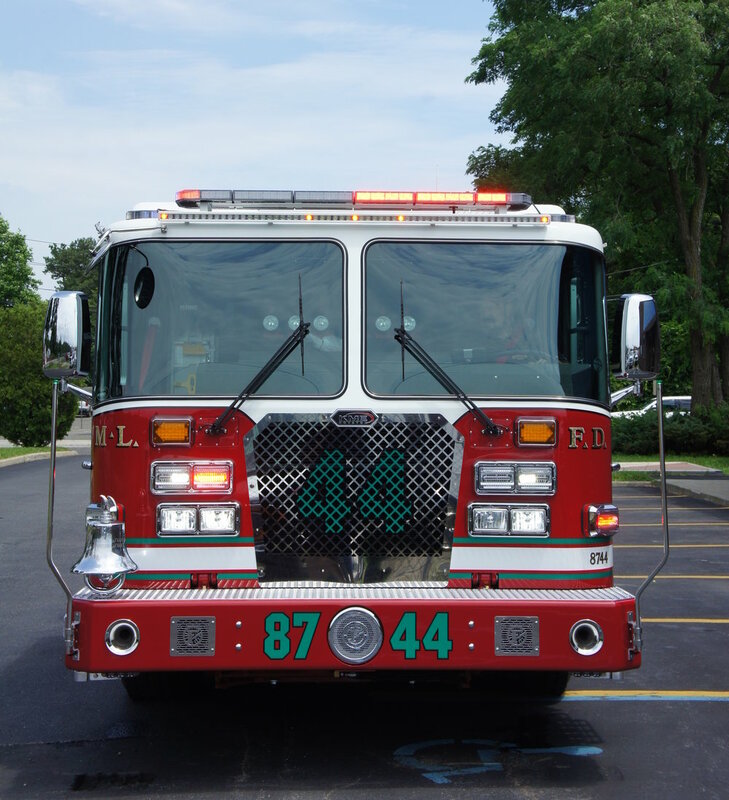 Congratulations to Manhasset Lakeville on their brand new 95 foot midmount KME Aerialcat ladder truck! 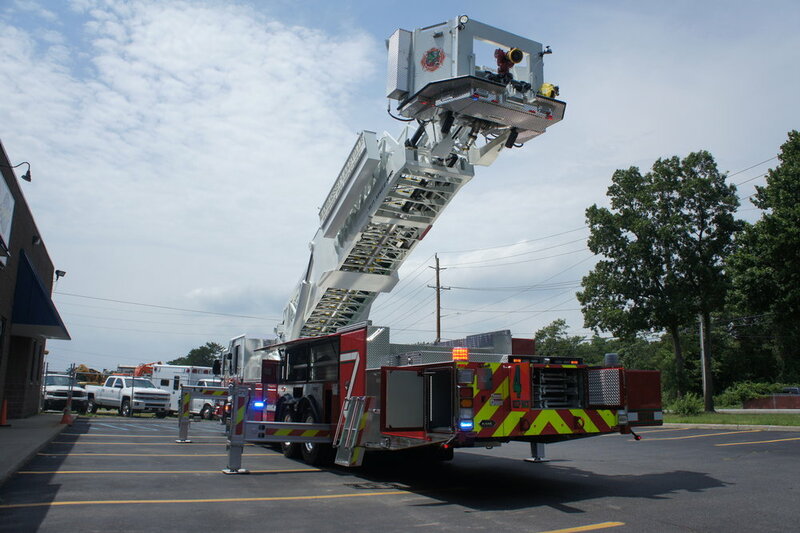 This truck is 47 feet long, lined front to back with toolboxes, and compartments for equipment. 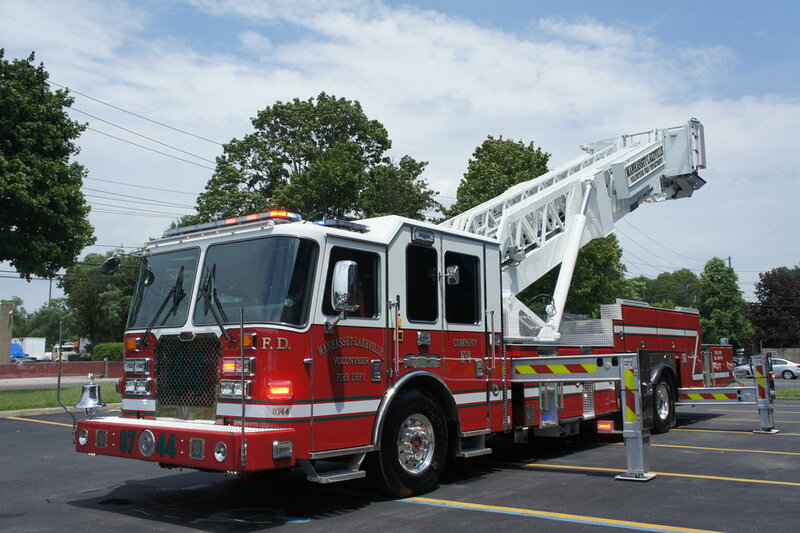 The Predator Severe Service cab sits eight crew in full gear, including the driver.